Step 1 In a medium bowl, whisk together the minced shallots, lemon juice, vinegar, salt and pepper. Slowly whisk in the olive oil, then the mustard. This makes about one-third cup dressing. Cover and refrigerate until needed, up to 5 days. Whisk again to emulsify before using. In Recipes-list.com we have selected the most viewed recipes from category - Appetizers Salads Vegetarian . Enjoy the best recipes specially selected for you! 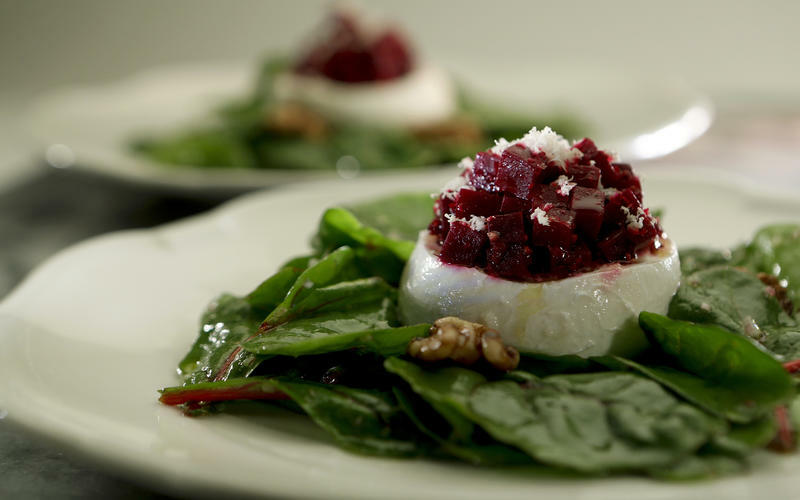 Beet and burrata salad is the right choice that will satisfy all your claims.